Celebrate Summer! It’s Field Day time! At the end of their hour, they’ll get a chance to cool down with a popsicle! 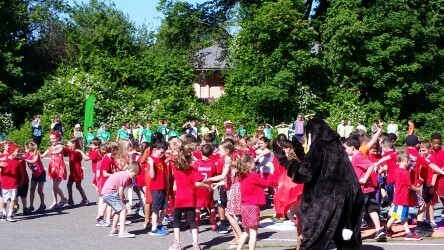 Please note that appropriate clothing and footwear should be worn to school that day – the kids will be running around, getting wet and in the sun for an extra hour. To help make this great fun event a success, we of course need some parent volunteers to come in and help run the activities! We also would love to borrow some Corn Hole game kits for the day. Can you help? Please check out our sign up genius and volunteer if you can. Thank you for your support! THURSDAY JUNE 14: PBIS COLOR SPIRIT DAY! WEAR YOUR GRADE COLOR! STUDENT PBIS EXPECTATIONS: Please review the behavior guidelines with your child ahead of Fine Arts Night on Thursday. See our website for details. 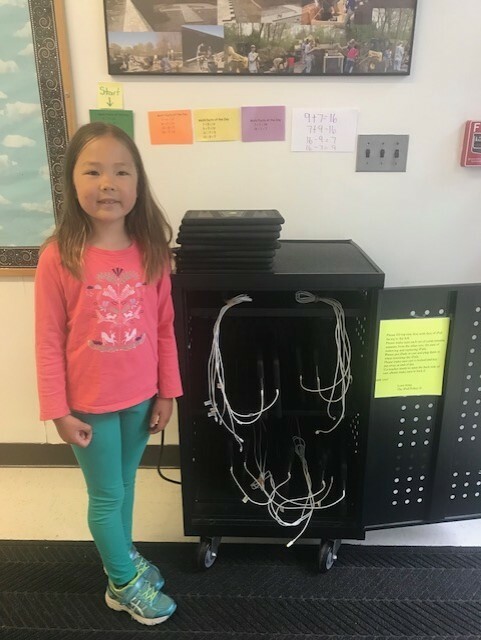 FINE ARTS NIGHT PARENT VOLUNTEERS: We’re looking for a couple of parents per class (grades 1-3) to help supervise students ‘back stage’ prior to their performance on Thursday’s Fine Arts Night. There will be extra support on hand this year and strict behavior rules students are expected to follow. Plus, you’ll get a front row seat for your child’s performance. 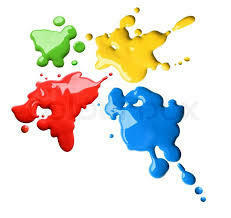 Please review our Fine Arts Sign Up here and lend a hand if you can. Thank you! 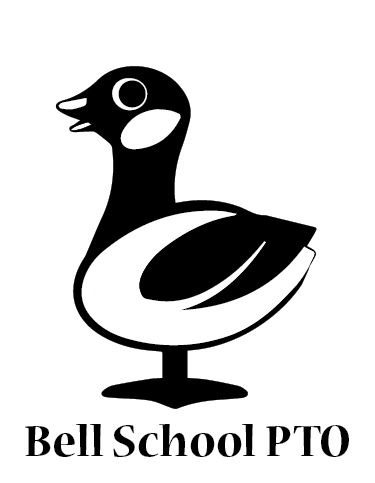 FINE ARTS NIGHT POTTERY RAFFLE & GARDEN LOGO STATIONARY SALE: We’ll once again be showcasing Bell School Staff’s handiwork with our annual Pottery Raffle at Fine Arts Night. The proceeds from the raffle will go directly back to the school. Plus, this year, we’ll also be selling some note cards with the winning garden logo designs printed on them. Please bring some cash with you on the night – although we will also be able to accept credit card payments. 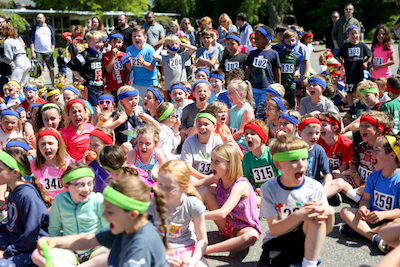 FIELD DAY SUPPORT: Our fun filled Field Day is next week – on Thursday June 21! Please come and join in for an hour or so and help us run this awesome event. Check out our Field Day Sign Up here. If you can’t be there, but have a spare Corn Hole game we could borrow for the day, please do let us know via the Sign Up. Thank you! SUMMER ORGANIC GARDEN CARE PROGRAM: Summer is almost here and our Spring plantings are sprouting! 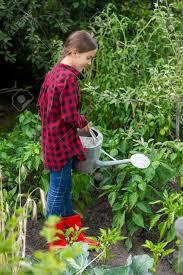 We’re looking for some Bell families to adopt a week during the summer months to help water, weed, harvest and care for the school gardens. 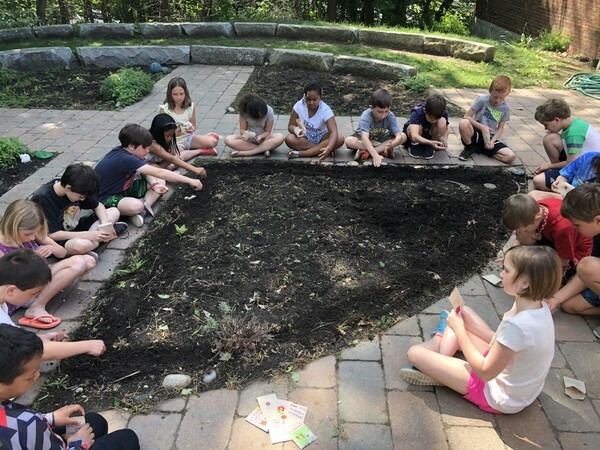 It is a nice way to keep your children involved with the entire growing season – as you’ll be caring for the vegetables and flowers that they planted from seed this Spring! Please consider volunteering your time for a week to keep the gardens growing throughout the summer. Check out our sign up here. 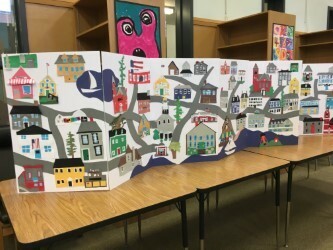 ARTIST GILES LAROCHE: Illustrator and author Giles LaRoche has once again been working with visual arts teacher Tammy Nohelty and Bell School 3rd graders on an amazing ‘cut-paper’ art project, supported by the Cultural Enrichment program. The result of his workshop with students will be on show at Fine Arts Night. 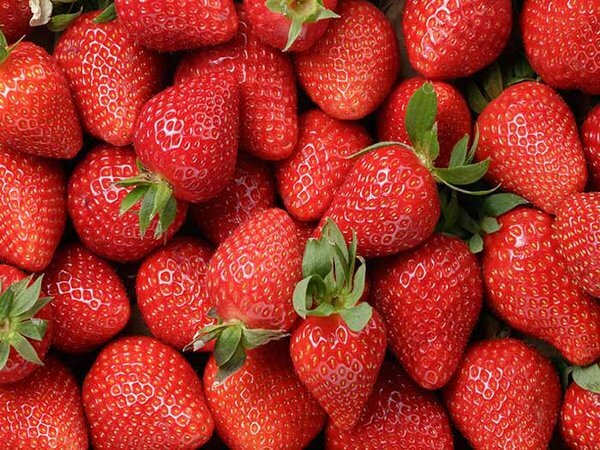 HARVEST OF THE MONTH TASTING – STRAWBERRIES: On Wednesday, June 13, we hope to give students a taste of farm fresh, vine ripened strawberries! Delicious! Please remember to ask them what they thought. Like every year, we’re looking for a couple of parents to volunteer on Fine Arts Night (Thursday June 14, from 6pm) and help supervise each class ahead of their musical performance. You’ll be needed to supervise your child’s class in their allotted ‘back stage’ area for about 20 minutes. Those who volunteer will have a front row seat reserved for them at their grade’s performance! With extra staff on board this year, a special focus on appropriate behavior and suggested activities available to occupy and calm the kids ahead of their performance – this should be an enjoyable task! Please consult our FINE ARTS SIGN UP GENIUS and volunteer if you can. THURSDAY JUNE 21: FIELD DAY 2018! HADLEY HUSTED who won the Grand Prize for most money raised. WILL SULLIVAN for most money raised by a 3rd grader. HENRY BERTRAND for most money raised by a 2nd grader. FOSTER GOODALL for most money raised by a 1st grader. CHARLIE & ELOISE BARON who tied, for most money raised by a Kindergartner! ADDISON MATULEWICZ who received the most individual donations. JONAH KAZIN who received a donation from Kuwait – the farthest away from Marblehead! VOLUNTEERS! WE NEED YOU AT THE MAGIC HAT! Just an hour of your time helping out at the Magic Hat is worth as much as $75 funding for Bell School’s Cultural Enrichment programs. Doing laundry and donating small items of furniture also earns us hours! Drop in any time and earn hours for Bell – Tuesday thru Friday, 9:30 – 2:30. Just sign in and out under Bell in the Volunteers’ Book. This week, June 5-9, is Bell’s designated week, when we need to cover as many hours as possible, including Saturday 8:30 – 1:30. Please help by signing up to volunteer for an hour or two. Thank you! FIELD DAY 2018! This year’s Field Day will be on Thursday June 21, when all the kids will get to enjoy an extra hour of outdoor play with their classmates. To help make this event a success, we need your help! We’re looking to borrow some Corn Hole games for one of the activities, plus we need parents to come and helprun the activities for an hour at a time. Please check out our website for information plus our FIELD DAY SIGN UP and come join in the fun! GARDEN NEWS! Bell School’s unique outdoor classroom and garden space and the lessons the kids study also made the news this week. Check out this article which appeared in the Marblehead Reporter. Be sure to review the updates on the garden pages of our website for more detail and photos of the various activities the children are enjoying right now. Plus, Jean Skaane, Garden Program Coordinator, will be our guest speaker at tomorrow’s PTO meeting (Wednesday, 8:30, Upper Bell). 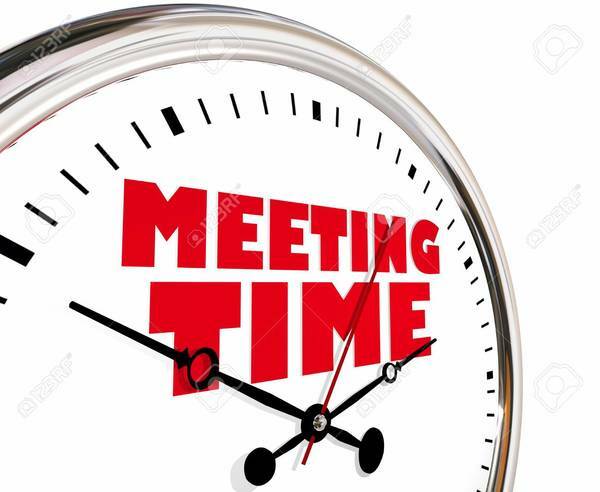 NEXT GENERAL MEETING: The last PTO General Meeting of the year will be on Wednesday June 6 at 8:30 in the library at Upper Bell. Please come along – all are welcome including younger siblings. 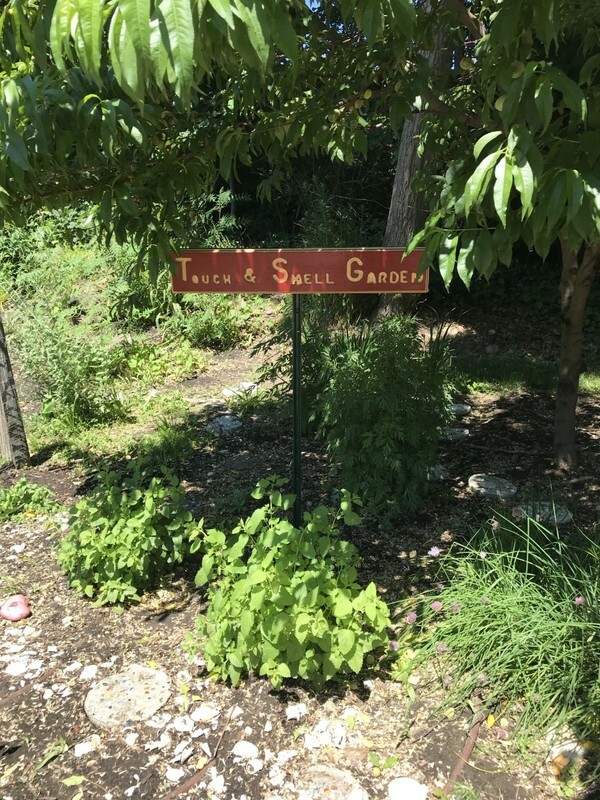 We will be joined by Jean Skaane, Garden Program Coordinator, who’ll be covering subjects such as the Bell Organic Garden and Sustainable Marblehead. We’ll also be voting in any new Board Members and saying good bye to some of the current team. See you then!